Alcohol addiction has the potential to negatively impact every single aspect of an individual’s life. Alcoholism can steal away everything that is meaningful in life, including life itself it isn’t treated. People who suffer from alcohol addiction live their lives immersed in guilt, shame, and self-loathing as the consequences from this deadly disease mount. In the U.S., alcohol use disorder (AUD) affected 16.3 million adults over age 18 in 2014, about twice as many men than women, according to the National Institute of Alcohol Abuse and Addiction (NIAAA). An estimated 88,000 people die each year due to alcoholism related causes, making alcohol abuse and addiction the fourth leading preventable cause of death nationally. That word “preventable” is key. Alcohol addiction can be successfully treated! If an individual’s AUD is mild to moderate, an intensive outpatient treatment program (IOP) can be a powerful means to bring about a full recovery. An IOP allows for the flexibility someone might need to allow for work and family life, while still providing the important treatment elements needed to achieve a successful lifelong recovery. What to an expect when looking at Outpatient Alcohol Treatment Centers? For the treatment of alcohol dependency there are typically two options to consider, outpatient or residential inpatient programs. If the symptoms of the alcohol addiction are severe, then a medically supervised detox is warranted, as very dangerous complications can arise. This individual would benefit most from a 30, 60, or 90-day inpatient treatment program. For the person whose symptoms are mild to moderate, an intensive outpatient program (IOP) may be a perfectly viable option for alcohol addiction treatment. 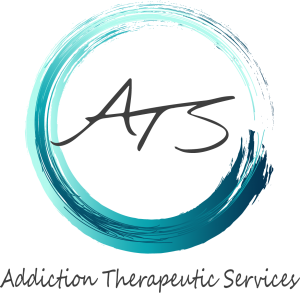 Addiction Therapeutic Services (ATS) is an abstinence-based model IOP that allows the recovering addict to remain at home to continue with regular duties, such as a modified work schedule (to allow for group sessions), education, or family obligations. During scheduled hours each day, the newly sober individual participates in important group meetings, process groups, or individual therapy sessions designed to enhance his or her recovery. ATS also helps clients coordinate with local community 12-step or non 12-step programs that provide fellowship and additional emotional support. Because a large percentage of those suffering from alcohol addiction also have a co-occurring condition, such as depression, anxiety, chronic pain, or bipolar disorder, ATS addresses these at the outset. Successful recovery is dependent on treating both the addiction and any underlying mental health disorder. To help clients manage these conditions, ATS provides alternative therapies and non-addictive medications. Not all IOPs are created equal; it is in the particulars that signs of excellence can be found. ATS is unique in many ways, starting with its beautiful and serene setting in the San Jacinto foothills of Rancho Mirage near Palm Desert, La Quinta, Cathedral City, Bermuda Dunes, Indio, and Palm Springs. Their program values each client’s individual traits and strives to create a specialized treatment program that will benefit the client in all aspects of his or her being—the mind, body, and spirit. By designing an individualized and holistic treatment plan ATS helps clients build a solid foundation for a lifelong recovery. Contact us today for more information about our program at (760) 349-7007.